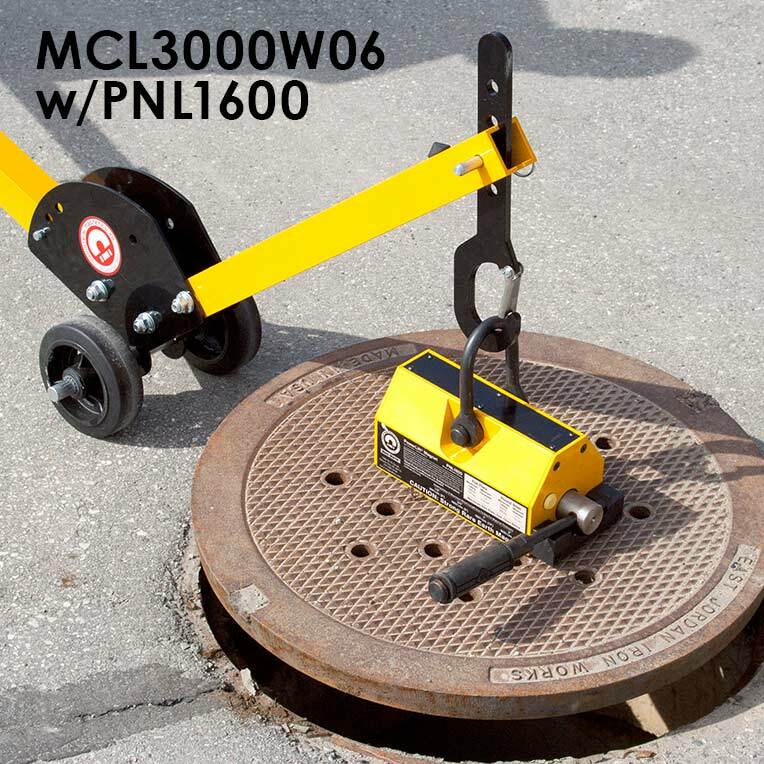 Quickly, safely and magnetically remove and replace manhole covers that weigh up to 400 lbs. with IMI's magnetic Manhole Cover Lift Systems. 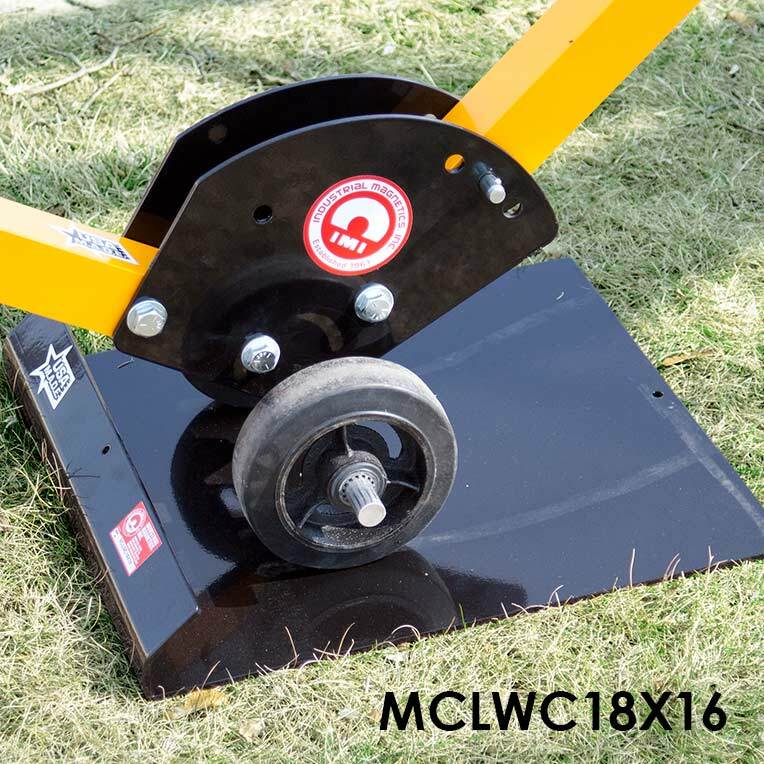 Our Manhole Cover Lift Dolly & Magnet combos do the heavy lifting work for you, minimizing stress & strain on the back and body, and providing excellent protection against slipping and falling - especially in rainy, snowy or icy conditions. 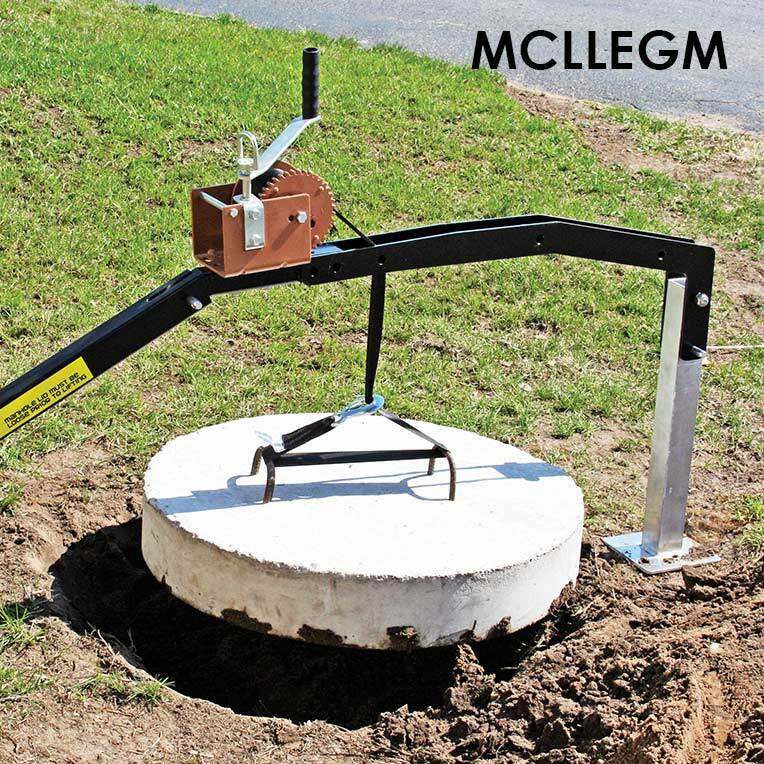 The ergonomic design of our system allows even a single person to lift and move a heavy, cumbersome manhole cover with ease. Especially ideal where weight limit restrictions are part of company policy, or aging or gender diverse workforces are a consideration. The deep reaching strength of our powerful, Rare Earth lift magnets can penetrate uneven, textured surfaces often found on manhole covers. And because it's a permanent magnet, there's no need for electricity or concern about power failures. 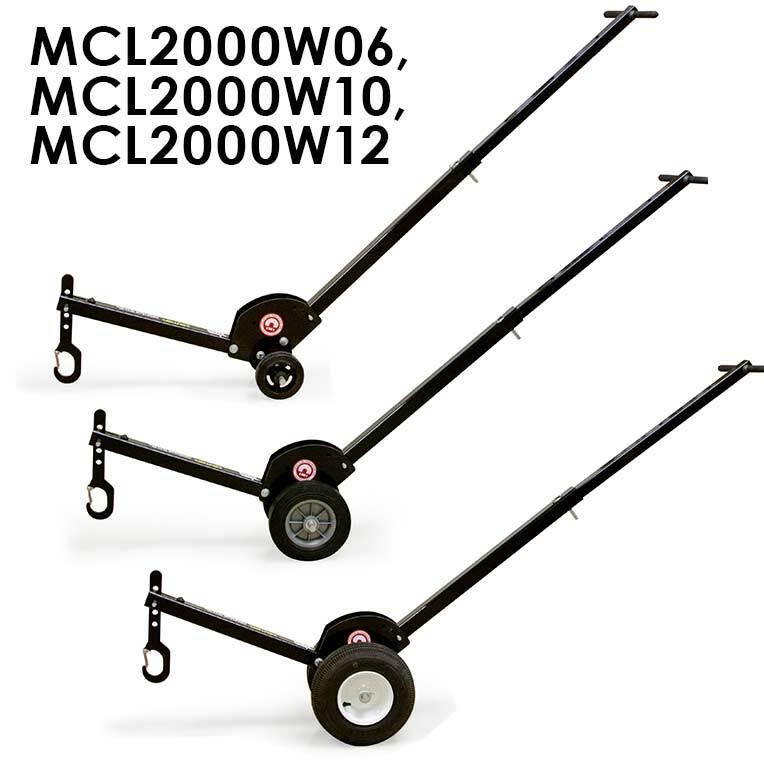 Our Manhole Cover Lift Dollies have a 64" adjustable handle that can be repositioned in 4 different lengths and in three angle positions of 90°, 105° and 120°. 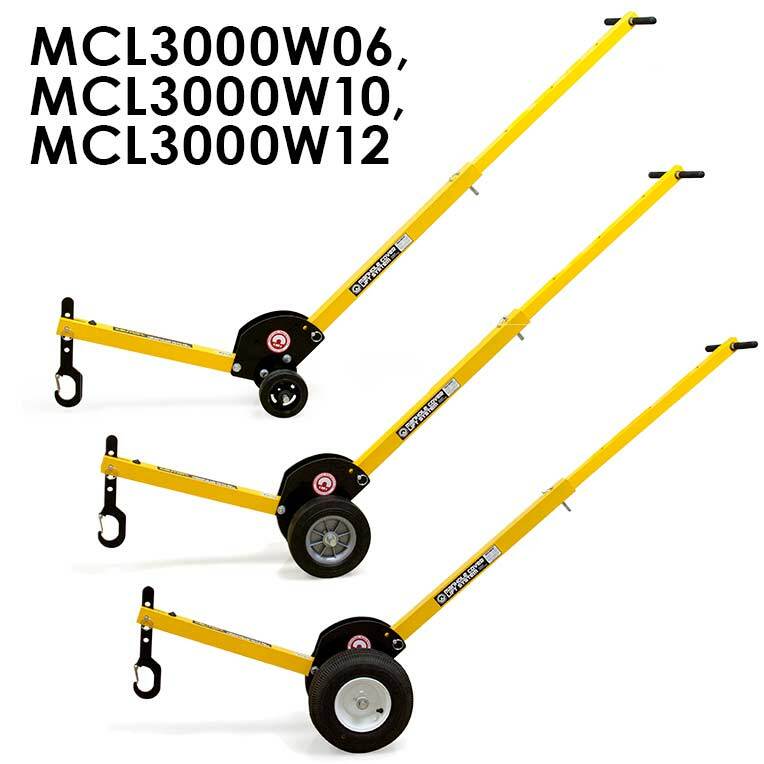 When not in use, the handle can be folded and collapsed down to 41" long. 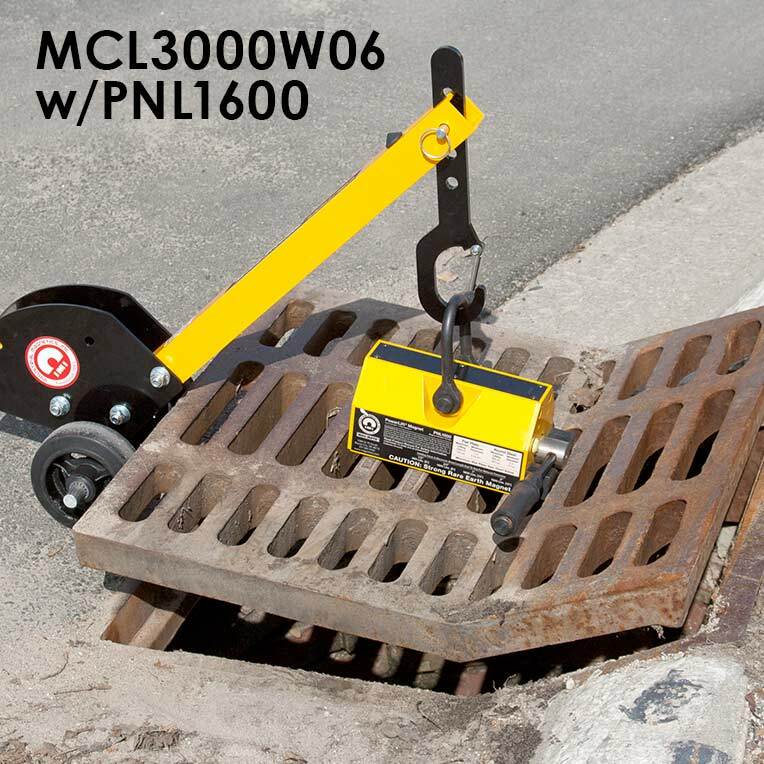 Heavy-duty wheels in either 6", 10", or 12" diameters provide stability for the operator when removing or replacing the manhole cover. 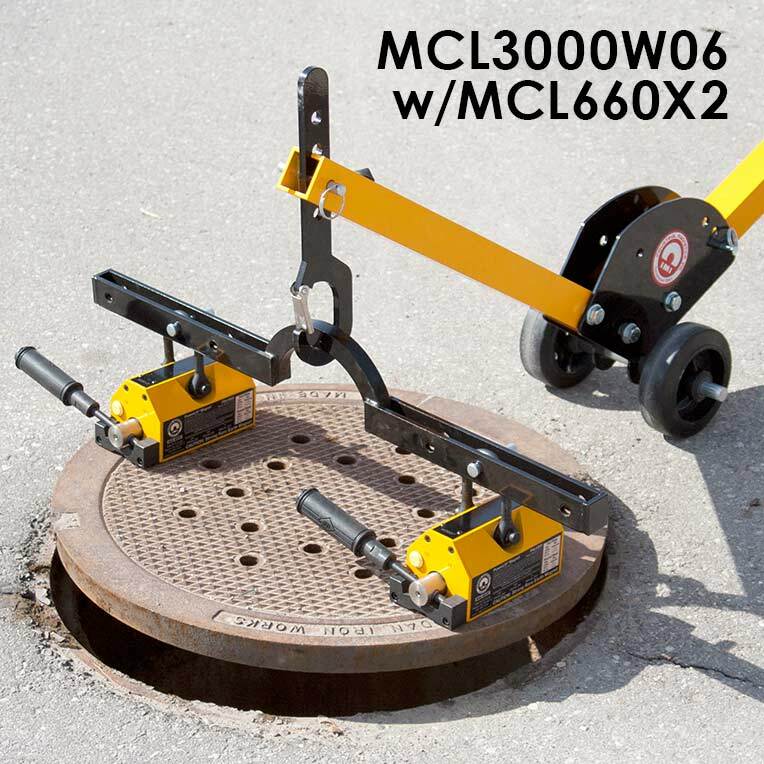 Reduce your risk of painful and costly injuries and lost-time accidents by having the right equipment for the job - IMI's Magnetic Manhole Cover Lift System. 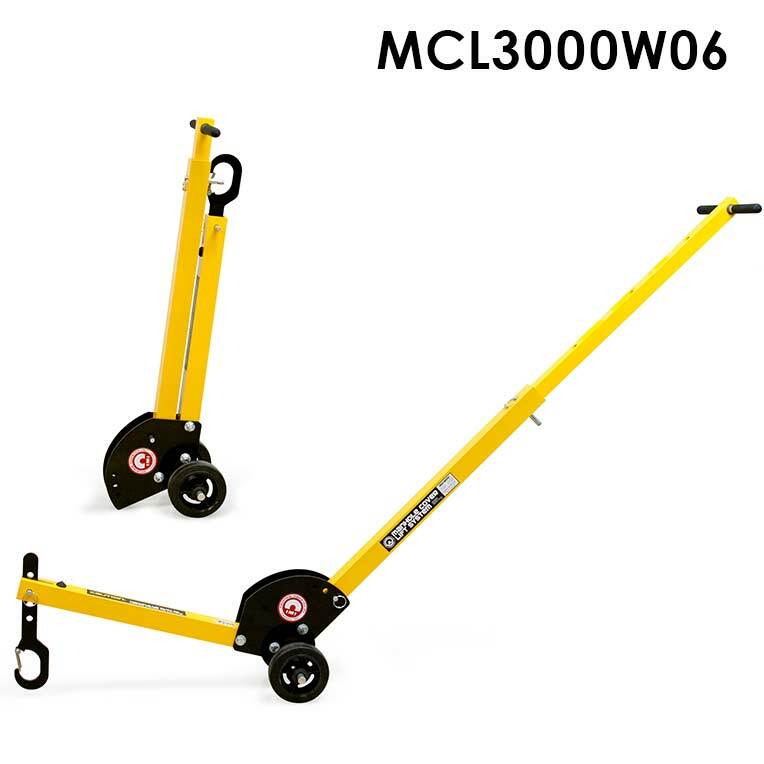 Our MCLLEGM adapter (sold separately) allows you to use our dolly systems to raise and maneuver up to a 400lb. septic lid cover. 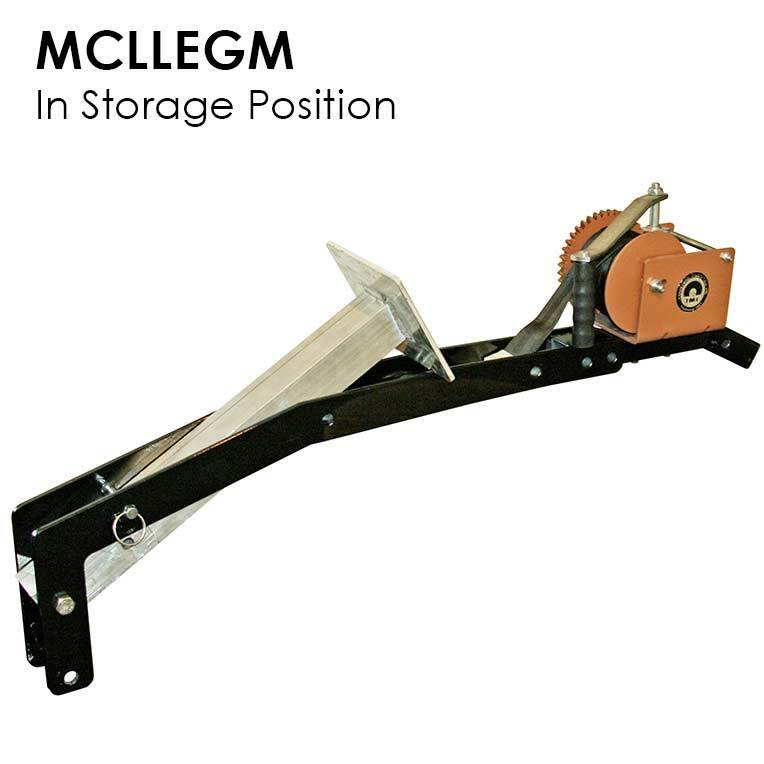 The MCLLEGM is comprised of an easy to turn, manual worm gear winch and a long lifting strap with hook on a stabilizing leg that attaches to the Manhole Dolly. Collapsible for compact storage and portability. 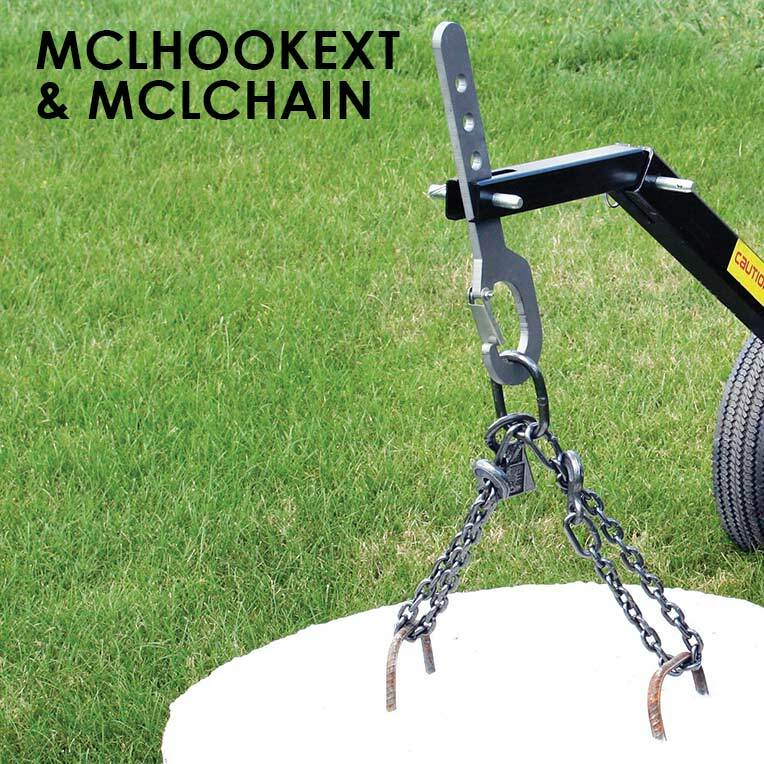 *NOTE: For dolly's with 12" wheels, we recommend purchasing a MCLHOOKEXT which extends the reach of the dolly for wheel clearance.